Pittwater Council and Sydney Marina Contracting handed over a cheque for $2,500 to Sailability Pittwater at a presentation on Friday 16th of August. 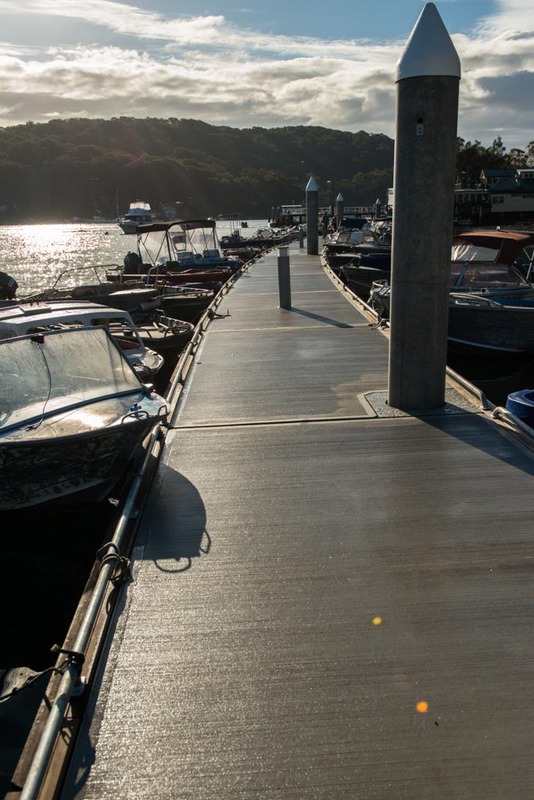 Pittwater Mayor Jacqui Townsend said Sydney Marina Contracting had been commissioned by the Council to build the new commuter wharf at Church Point. “As part of Council’s contract with the company, a bonus was awarded for finishing the work before the agreed completion date,” said Mayor Townsend. 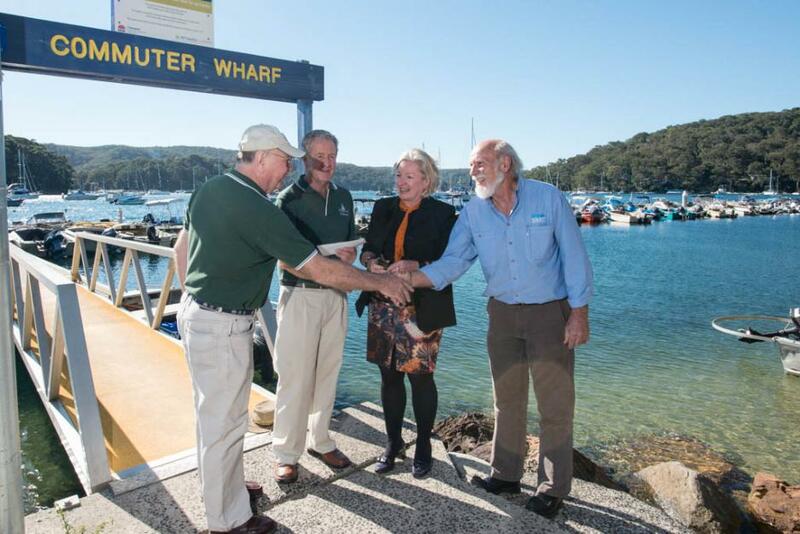 “The company has decided to donate the bonus that they received to Sailability Pittwater,” she said. John McCausland from Sailability Pittwater said he was delighted to receive the money on behalf of the volunteer organisation. “The pleasure the experience gives to our clients is obvious and is a strong motivator to all of those volunteers involved. There is a great spirit of camaraderie among both the volunteers and sailors,” Mr McCausland said. Council’s General Manager Mark Ferguson said the commuter wharf was completed in 2012 and is capable of servicing up to 180 commuter boats, significantly increasing the previous capacity. “We are pleased that the efficient completion of the contract has also resulted in a contribution to Sailability,” said Mr Ferguson. Mr McCausland praised Pittwater Council, stating Council had always been strong supporters of Sailability Pittwater, helping them with providing better facilities, better buildings and maintaining those facilities. John also expressed his thanks to all in the community, many of whom have been strong supporters of Sailability Pittwater and all its great works. He stated the extra funds will be put towards placing guards around the propellers of their outboard motors, a new insurance requirement that has recently come in. 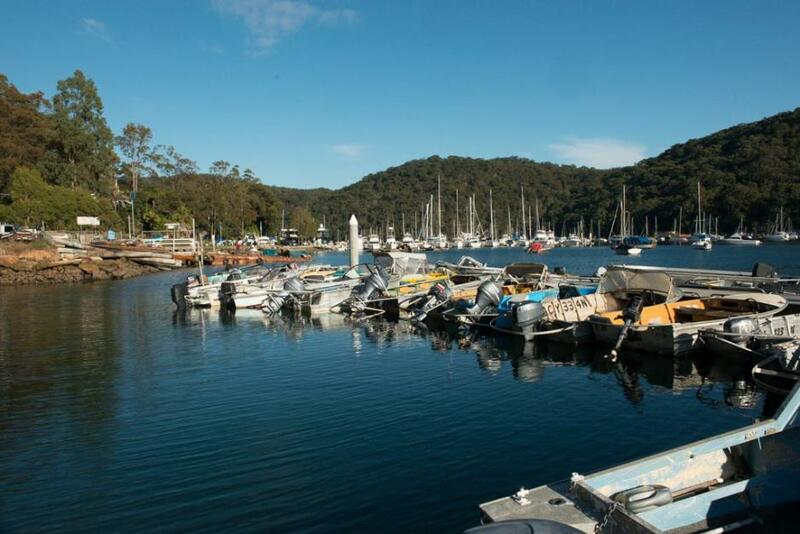 Sailability Pittwater has three outboard motors that will require this new fitting. Mr Sims, Sales Manager of Sydney Marine Contracting, stated it was great to see a Council offering an incentive to finish a contract early and that for his team and company it was a pleasure for them to be able to put this bonus back out into the community. Pittwater Sailability has ten year volunteers who are looking forward to sharing some ‘freedom on water’ over the coming season, which starts on the 7th of September. And as we all know around here…. 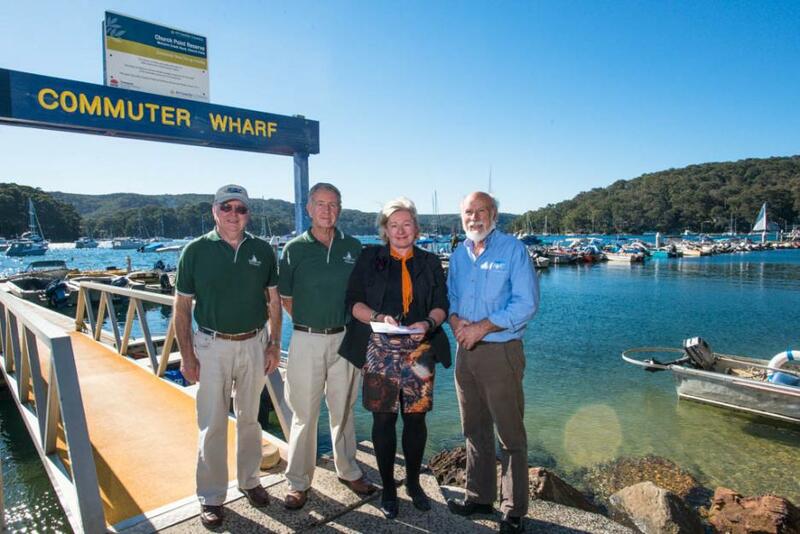 Malcolm Murray, John McCausland of Sailability Pittwater, Mayor of Pittwater, Cr. Jacqui Townsend, Tom Sims Sales Manager Sydney Marine Contracting. The new Commuter Wharf at Church Point. Photos By Michael Mannington, 2013.